Augustmuni is a small town that is located in the Rudrparag district of Uttarakhand state.The town is famous because of the temple of Rishi Augustya that is located here and from where the temple has earned its name. 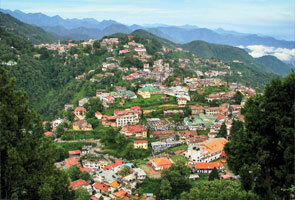 At a distance of 50 kms from Augustmuni is Phata on the way to kedarnath and is only 18kms away from Guarikund. Augustmuni is also known for its Helipad. 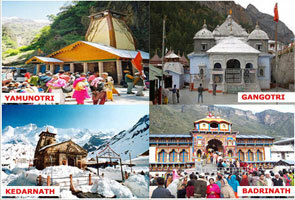 During the yatra Char Dham Yara Pawan hans helicopters operate their flights to Kedarnath from Phata and Augustmuni. 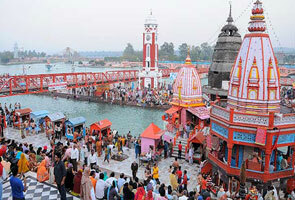 The total flying time is around 45 minutes that covers Augustmuni-Kedarnath-Augustmuni. 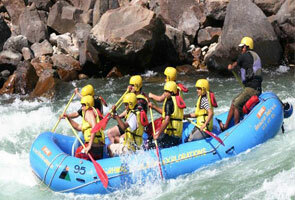 Augustmuni is located along the shoreline line of famous Mandakani River and is around 18kms away from Rudraprayag. Augustmuni temple is known so because it was the place of worship of Saint’s Augusta’s and comprises of August Kund and a Lord Shiva Temple. Sage Agastya was a famous Sage and a temple named as Agasteshwar Mahadev is dedicated to him. The temple is famous for its archaeological significance, figures, Gods and Goddess that are carved on the stones of the temple. Also, on the occasion of Baisakhi large fair is organized and many devotees come here to offer their prayers and to the Almighty. Saint Augustya had his asylum in Rudrprayag where he used to offer his austerities to the Lord. The temple of Augustmuni was once affected by the flood and water suffered many damages. Augustmuni gave this dream to a local at Rudrprayag. Considering it a wish of the Sage when locales arrived at the place they found the Augusta kund and placed his shrine there and since then Sage Augustaya is worshipped by locales here and around. In the premises of the Augustmuni temple there is a temple of Guru Mahadeva who was the teacher of the Augustmuni. There are several different legends that are connected to this place. As per legends it is believed that Saint Augusta arrived at this place he was terrified by two monsters- Aatapi and Vatapi. These monsters used to trap people and used to distract them for their lunch. Most of the saints were trapped by them and used to deceived by them and fell trap for their plans. The monster used to turn himself into a dwarf when saints used to visit him and used to hide inside the food that was offered. Via food he used to enter the person’s body and slit his body when asked by other monster. The two monsters then used to eat the dead person. People were really horrified by these two monster brothers and asked Saint Augusta for help. On hearing problems of locales here, Augusta went to the monsters place on their invite. The monsters used the same trick but during that time Saint Augusta started chanting his spell. This helped him in killing one of the monsters and the other one was killed in a battle. This is how the Sage was successful in killing two monsters and helped locales from getting rid of them.